With the phenomenal growth of online advertising over the past decade, new methods of fraudulent traffic sources have increased proportionately. 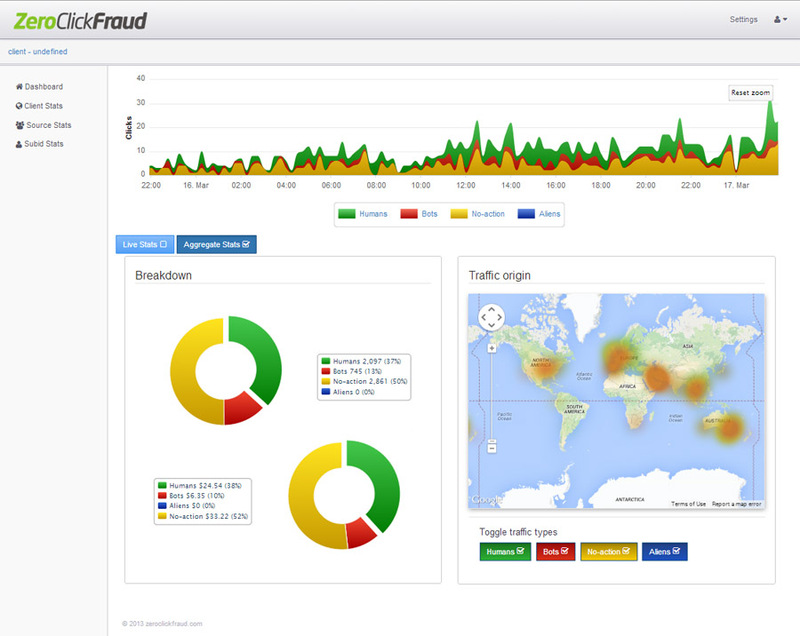 From its inception, Datablocks has identified and tested every form of traffic conceivable. This experience, combined with vast amounts of data and our visionary drive, has empowered us to create an industry leading neural network based product that "learns" as it grows. 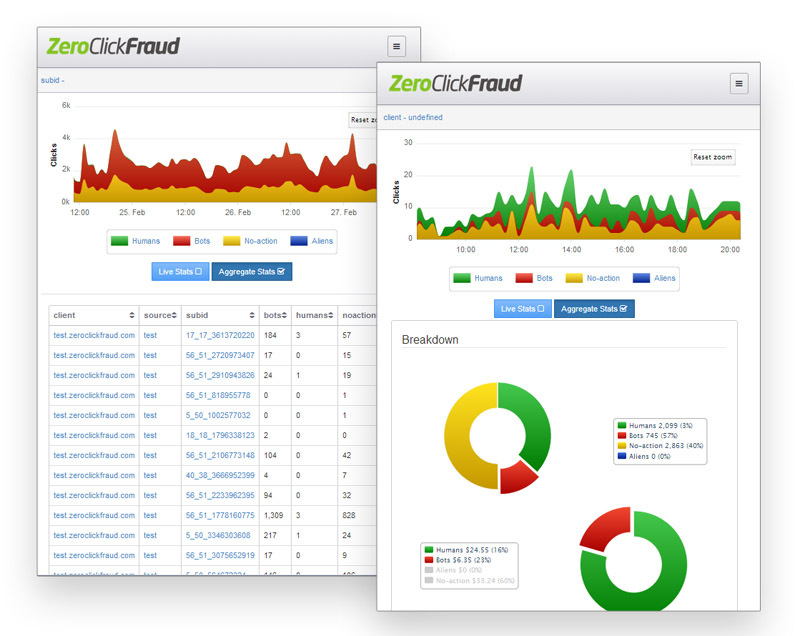 The all-new ZeroClickFraud system can be utilized in a variety of ways, ranging from pre screening of searches to in-depth analysis of clicks. The active testing methods and management of potential visitors, both during and after the click, places ZeroClickFraud ahead of the curve. Active, real-time decisions, based on a multitude of default and customizable factors. 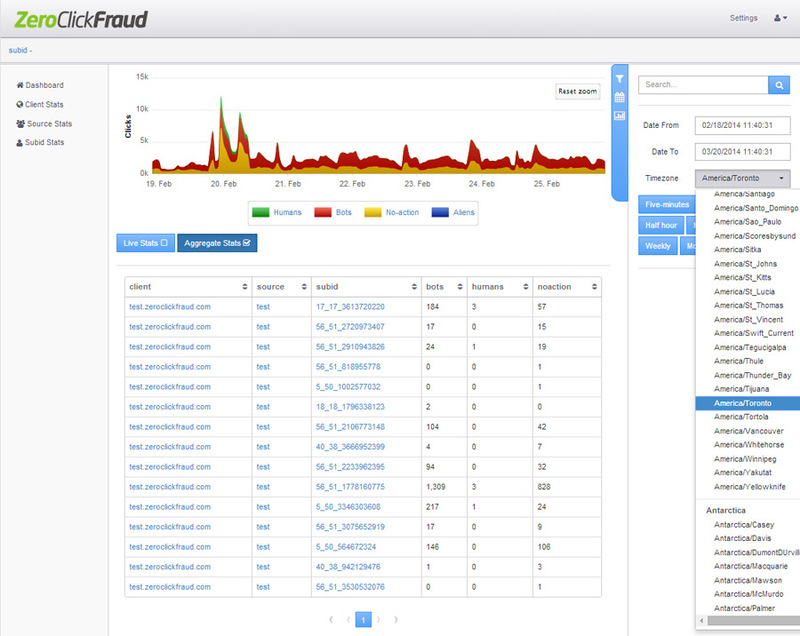 Pre-click, and Post-click filtering, with in-depth data analysis available.